This day marks my one month anniversary! And I'm starting to get a hang of this stuff:) I still get a little nervous before every lesson, but the Lord helps us according to our trust and preparation. I try to study Spanish in the time that I'm supposed to, but somehow I either don't use it well, or companion study robs me of it. So this week I'm making a goal of using my time more wisely! Oh! I forgot to tell you guys last time, but on the last Sunday of the year we had two special guests come to the MTC for our devotional. David Archuleta and Rick Elliot!!! It was so cool! Elliot did some real cool stuff on the organ for us, and my favorite was when he did a fun song with his feet! David Archuleta talked to us and sang us a few songs. His voice is sooo good!!! I love it when you guys send me pictures! I print out a few and pin them to my wall. It helps when days get a little hard. I have a few pictures, but I need to get a converter thing to put them on the computer and I haven't gotten that. Yet. I miss all of my little nieces and nephews! So when I see pictures of them my heart melts. This one time I had a random thought of Marci when she plays with her lips to make sound, and my eyes started to water! Luckily all the other hermanas were focused on studying and I could compose myself. But I miss all my little ones! Mi espanol is mejor. No puedo hablar mucho, pero mis palabras estan bueno. Tengo un testimonio de Jesucristo y su Expiacion. Los bediciones del Evangelio son real. Jose Smith restaurado (restored, I can't remember the right ending) la Iglesia de Jesucristo, la iglesia mismo que Cristo tenia. Mis espanol no es perfecto, pero Dios ayudame cada dia! En el nombre de Jesucristo, amen. Translation: My Spanish is better. I can not talk much, but my words are good. 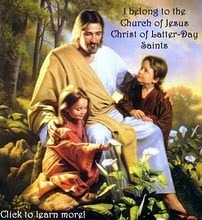 I have a testimony of Jesus Christ and His Atonement . The blessings of the gospel are real. Joseph Smith restored (restored, I can't remember the right ending) the Church of Jesus Christ , the church as Christ had. My Spanish is not perfect, but God help me every day ! In the name of Jesus Christ , amen .